Apple has been in the top of the list for a long time and have proved it time and again the it is the best laptop brand not only in India but across the globe. Their machines are performance oriented and comes with sleek as well as stylish design. The laptops from this brand are best for high-end usage. It is rich in terms of both price and software. These machines come with a smooth touchpad and keyboards, incredible display and powerful processor that enables smooth performance. In addition to these, Apple backs these portable computers with powerful battery that lasts for hours. However, the only drawback is the customer service, which is not that great as compared to its products, making it difficult to maintain. Some of its popular products are MacBook Pro, MacBook and MacBook Air. Lenovo, a Chinese Multinational Company that deals in hardware and electronics occupies the 2nd position among the best laptop brands in the country. Known for quality products, it is one of the largest personal computer makers and world’s 2nd largest PC vendor. Not only it offers a wide variety of notebooks and PCs along with varying prices. It is famous for its quality as well as style and manufactures different laptops for different use, which include daily use notebooks, gaming notebooks and for other usage. PCs from this brand are good for rough use and the Thinkpad range is quite popular among users. Its most prominent ranges are ThinkPad, Essential, and IdeaPad. Dell is another popular and the best brand in the market that manufacturers everyday use laptops. One of the best things about Dell is its customer support and service centers are there in every part. Dell is an old brand when it comes to computers and other electronics, but recently they started manufacturing laptops and they have grown so fast that today they have more models than one can remember. Their laptops are mostly known for being affordable and offer all basic features. Other than Dell, they are also known as Alienware which is the best laptop brand for gaming devices that can handle every single game in the world. HP is one of the most popular brands in the Indian market. It is one of the oldest brands and gained popularity after its merger with Compaq. The demand for notebooks and laptops from HP increased since it started manufacturing touchscreen laptops. The machines from this brand are loaded with features, powerful processor and latest operating system along with other modern features. Not just it promises high-quality products but also offers them at reasonable prices. HP notebooks are famous for high-quality display, sound quality and graphics. Best selling laptop PCs from the ENVY range with features i3 or i7 processor, windows 8 OS, and 500 GB hard drive. Offering stylish and elegant laptops, Sony VAIO is another best and popular brand available in the market. 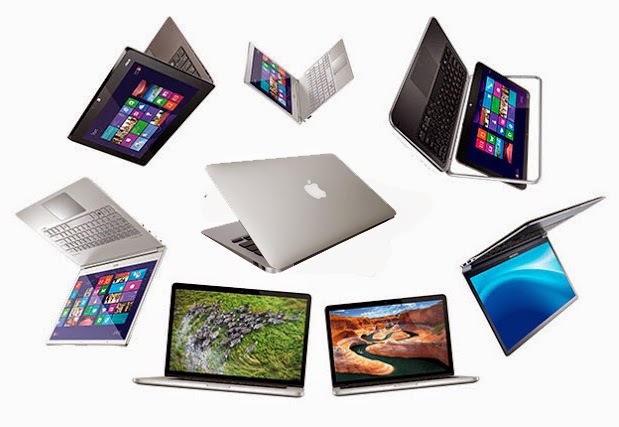 It manufactures high-end, stylish and elegant laptops, bundled with some great features. VAIO laptops are pricier as compared to other brands, but comes packed with good performance, great keyboard, good battery life and reliable hardware. There are plenty of colors available while choosing a Sony laptop and their multimedia features entirely vary upon the different models. The biggest advantage of its laptops is that they can be carried anywhere with ease. Acer has joined the squad of top laptop brands in India by manufacturing good quality PCs at affordable prices. It is known to manufacture some of the most user-friendly laptops that are bundled with high-performance CUP along with some advance features to enhance the computing experience of users. The notebooks from this brand are popular in the country among students; however, these are even capable of meeting the needs of professionals. Its laptops come in 3 ranges, i.e. Ultrathin, Netbook and Notebook. Toshiba is known for manufacturing affordable everyday use laptops. The finest Toshiba laptops come with features like Intel 2nd Generation Core i7 processor, 18.4 inch screen, and 4GB DDR3 RAM. Its laptops are great to use and quite user-friendly, which has made it now a popular brand after some of the top brands. Today, it has become one of the best selling laptop brands in India. ASUS as well is one of the top selling laptop brands in India, which has acquired the position in the list of top 10 brands. They manufacture laptops with sleek design as well as packs them with powerful processors and amazing display. Laptops from this brand are quite affordable is known for great technical support. Last but not the least, HCL a premium Indian brand needs to be included in the list of top 10 laptop brands in India. It is known to manufacture the most affordable laptops and if you are really low on budget then no brand can be as good as HCL. It is one of the best affordable laptop brands offering high-quality laptops and netbooks. In terms of customer service as well, the brand is quite good. HCL Me is one of the most popular laptops from this brand that is available at a reasonable price.